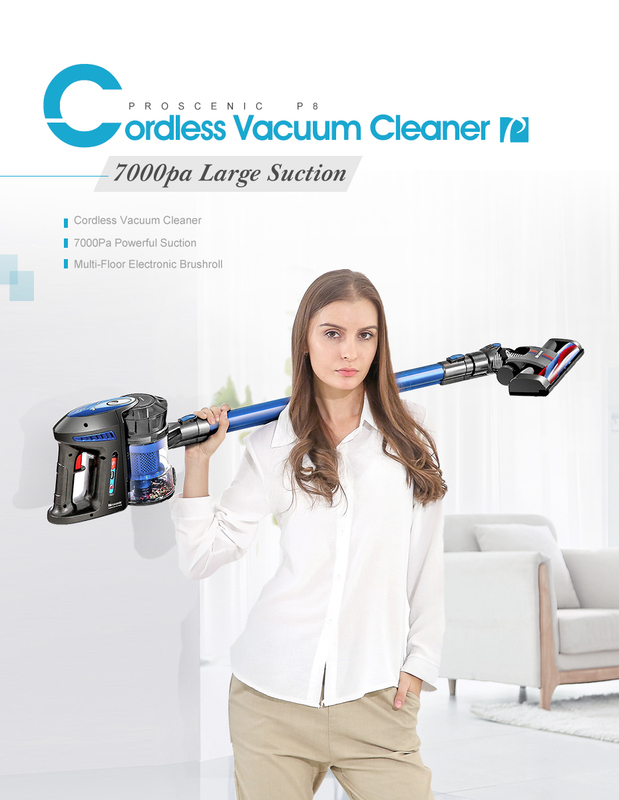 Large Powerful Suction 7000pa: remove large, small and stuck on dust, dirt and mess from carpets and hard floors in a single pass, saving your time and energy. 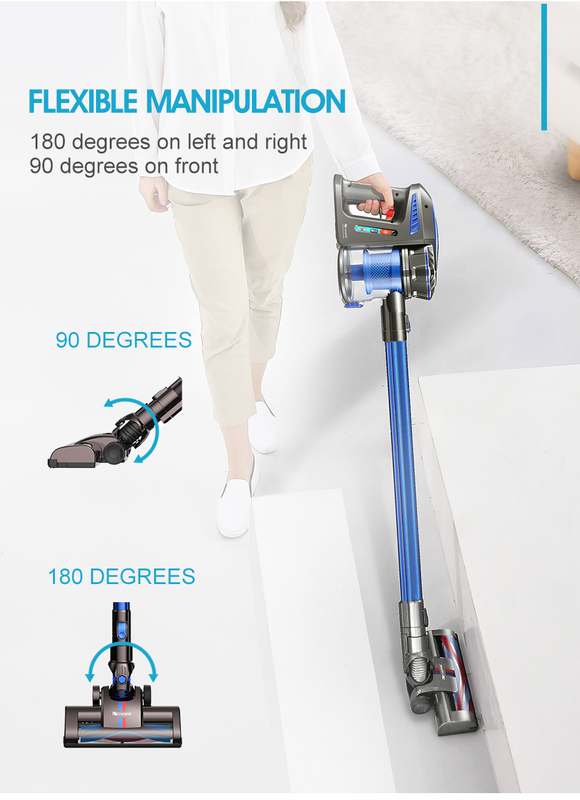 Lightweight: The cordless vacuum cleaner converts into a detachable handheld vacuum for versatile floor-to-ceiling cleaning at only 4.7 lbs. 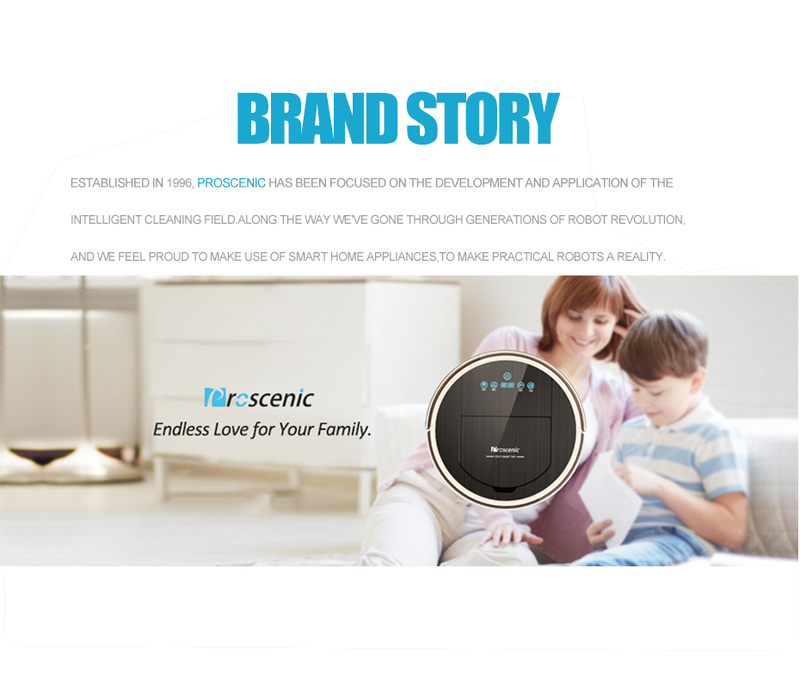 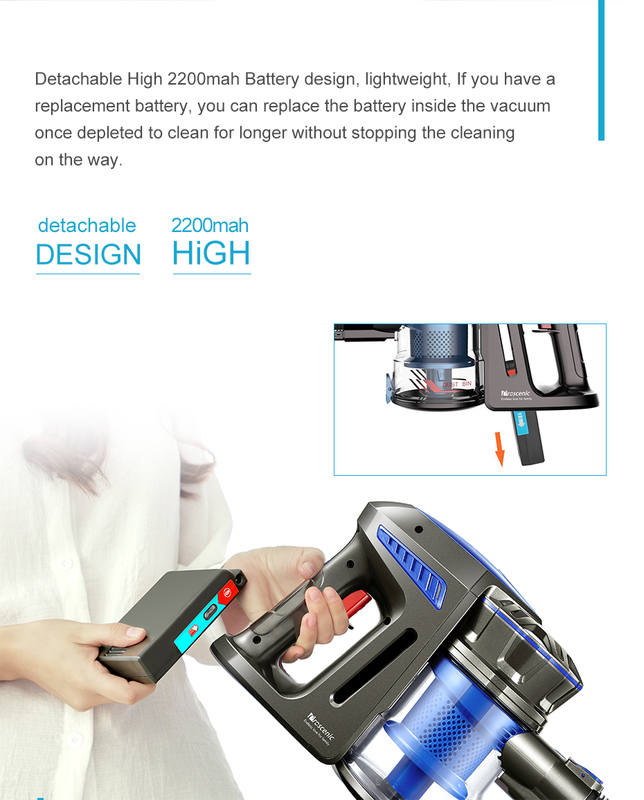 35 Minutes Runtime: The vacuum cleaner runs for a lengthy 25 to 35 minutes on battery power alone. 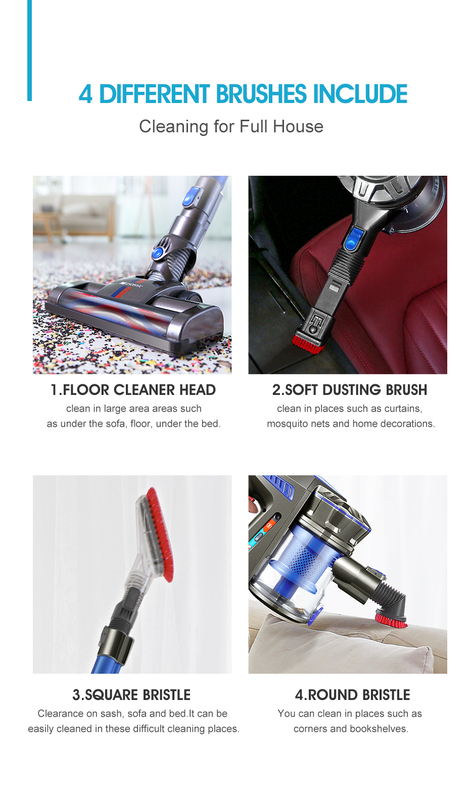 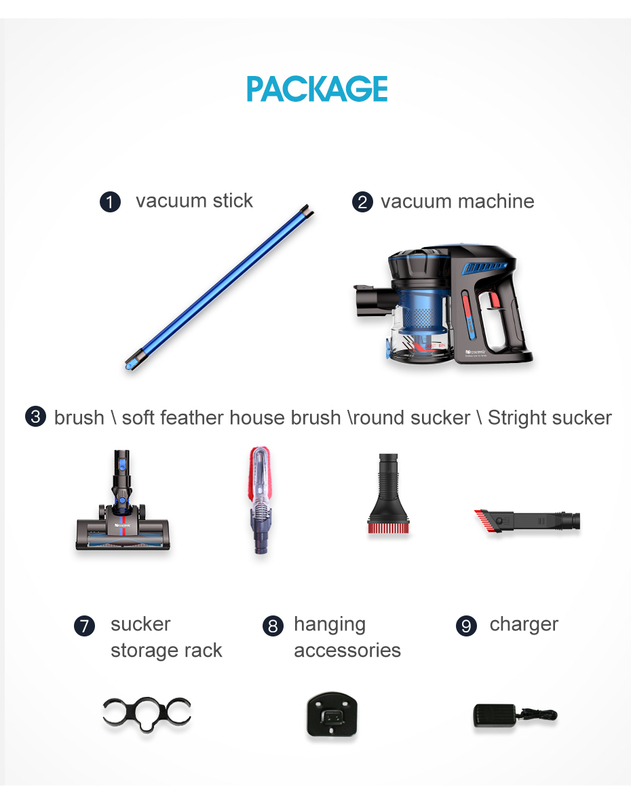 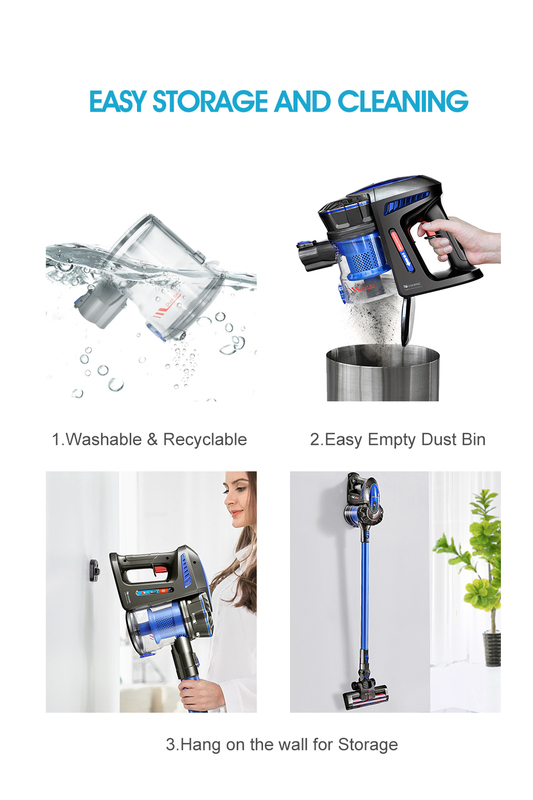 Versatile 3 in 1: a powerful hand vacuum for easy cleaning of cars, upholstery, stairs, and other hard-to-reach spots. 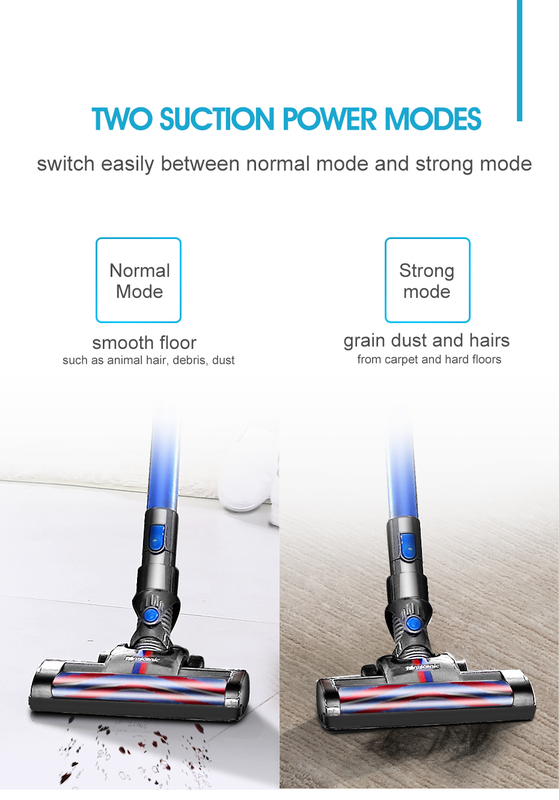 Multi-Floor Electronic Brushroll: it cleans across different floor types and everywhere else your upright vacuum can\'t reach.